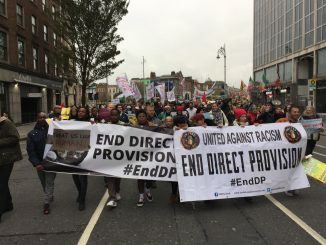 Launched in July 2016, United Against Racism (UAR) End Direct Provision #EndDP Campaign is gaining momentum. 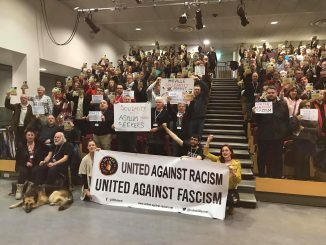 Following a successful launch of the campaign a motion drafted by United Against Racism has been circulated to TDs asking for support for a Dáil debate and the ending of the system. Direct Provision is an unbelievably inhumane system. People who have suffered torture, discrimination, war and forced flight and having been torn away from their homes and family should be welcomed and treated with respect. Instead, they are bundled off into Direct Provision Centres, often run by private companies out to make a profit, and forcibly cut off from society. The logic of this cruel regime is to deter others from coming to Ireland, as if seeking asylum were a life-style choice. The application system is very long, complicated and difficult for people from another country to navigate. It denies asylum seekers the right to work. It denies asylum seekers access to third level education. 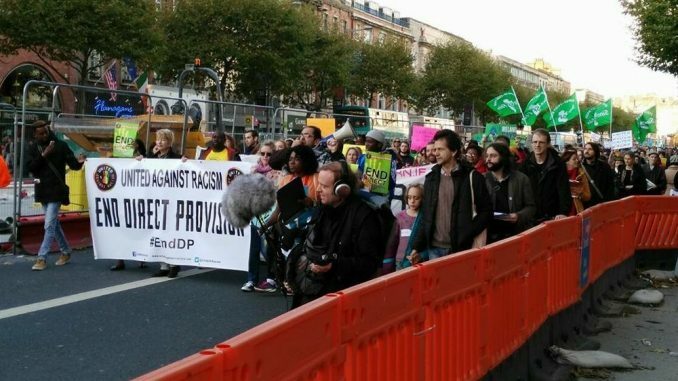 The threat of deportation makes people in Direct Provision fearful and insecure. People cannot live on €19.10 weekly financial provision. 2014 saw asylum seekers in no less than nine centres rising up against their enforced imprisonment and being met by intimidating management methods. Inmates were forced to go on hunger strike in Athlone, Portlaoise and Mount Trenchard and to occupy centres in Cork and Waterford. We cannot let this situation continue. Direct Provision centres are proven to be extremely unsuitable for children to grow up in. The previous FG/Labour government had promised serious reforms to DPS and the asylum process but after long waiting this came to nothing. Direct provision reform is included in the current government’s programme.